Krishantha Pushpakumara alias ‘Rahtharan’ has stated that he will resign from his post as a Southern Provincial Councilor and from all political activities. This is in the wake of the Southern Provincial Councilor being arrested for allegedly committing serious sexual abuse against a 16-year-old school girl. Addressing a press conference held earlier this morning (18), Krishantha Pushpakumara stated that he arrived at this decision considering the fake allegations charged against him in the recent past. He says that the people vote for a politician due the respect and the image they possess and that although the people in Galle voted for him with this opinion, when considering the recent allegations leveled against him, it is a great disrespect towards the people. 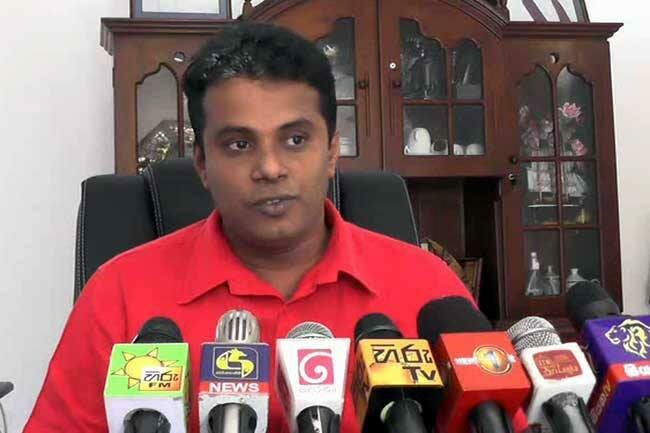 Stating that this decision was made as this situation is disrespectful towards the persons who represent him, Pushpakumara said that he stands by this decision until he is cleared of these allegations. By removing himself politics, the judiciary can freely conduct judicial activities regarding the matter and anyone can criticize this measure in a wrong way, he added. Speaking further, Pushpakumara firmly stated that ‘Raththaran is not afraid of this challenge’. He says that he will face this challenge as a normal citizen as he is accused of a deed he did not commit.